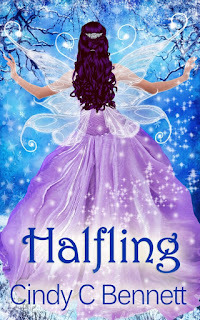 Banished from the South Pole, Kara tries to carve out a new life among the elves of the North. 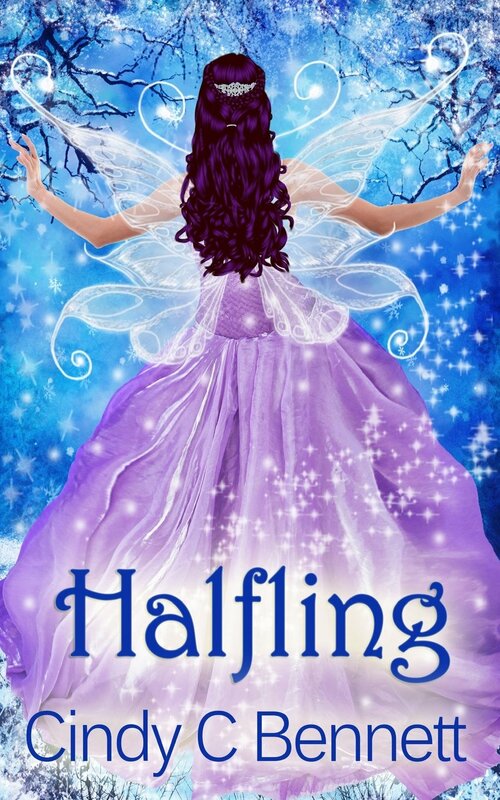 It’s not easy with a secret to protect—a secret she's cursed with by the unusual circumstances of her heritage: half-elf, half-fairy. In the North, she’s assigned to work with Seb on a special project. He's the most gorgeous elf she’s ever seen—and the orneriest. He held the helmet out once again and this time Kara took it. She climbed on behind Seb, holding to the side handles. He grunted, in frustration or humor she couldn’t tell. He reached behind him, grabbed her hands and wrapped them around his waist. Kara gasped. Seb hit the throttle, launching them forward. Kara couldn’t stop the small scream that escaped her throat as she tightly clasped Seb, burying her face in his back in terror. She slid forward, pressing tightly against him, refusing to look up as the world sped by. Panic slid across her bones until she felt as frozen as the Earth’s surface beneath them. He sped around corners and across bumps that lifted the machine airborne. Her breathing was rapid and her heart felt as if it would pound its way through her chest. It seemed as if hours passed rather than a mere thirty minutes when he finally pulled to a stop. Kara tried to release him, truly she did, but telling her brain to release her death grip on him and actually doing it seemed to be at opposite ends of the spectrum. “Kara?” he asked. She couldn’t lift her head to answer him. She felt his hands on hers, peeling them away. He managed to do so, though she still couldn’t move. Pulling her helmet off, he leaned down to peer into her face. Seb surprised her by pulling her into his arms, holding her tight, safe, enfolded in his warm embrace as she shook, spasms wracking her body. Kara didn’t know how much time passed before her brain began to really process the situation. As she became aware of her reaction to nothing more than a ride on a sled, and the fact that she was now clasped tightly in Seb’s arms, embarrassment seeped through her.